I was given a ticket to last night’s Opening Ceremonies through the BCLC and Olympians Canada. Ironically I had an hour to get from downtown to Richmond to pick up the ticket. After a long frustrating wait in a cab at a train track on Shell Street I got to the office at 3:29, with 1 minute to spare. Yesterday was such a hard day to process as we all found out more details about the death of Nodar Kumaritashvili. The bitter sweet for everyone is trying to celebrate the start of the games that have been coming for so long, while at the same time honouring the tragic loss of an Olympian. As an athlete I know what it takes to get to ‘the big show’, but then to lose your life one day before you get to demonstrate your talent. 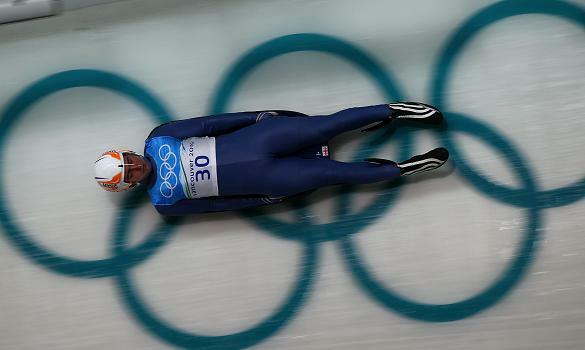 And to lose his life at the age of 21…he would have been at many more Olympics. I did not know Nodar’s name before yesterday, but I will never forget it now. I was honoured to be in a hushed stadium with 60,000 other Olympic fans as we showed our respect with a minute of silence.